Aside from searching for the perfect home for you and your family, obtaining a mortgage that fits your needs can be just as time-consuming a process. Whether you’re a first-timer—or even a seasoned buyer—you shouldn’t simply walk into your local bank and agree to the first mortgage you’re offered. It’s also important that you don’t choose a lender simply because you worked with them in the past. No matter what the market looks like, getting the mortgage that works best for you begins with shopping around and doing your homework. Before applying for a home loan, take the time to inspect your credit report to make sure the information is correct. While mistakes and outstanding debt can be fixed, the process will take time. Once your credit report is in good condition, and it’s time to look for a mortgage, you’ll want to compare and contrast various mortgage brokers, mortgage lenders, banks and credit unions. From there, narrow down your choices and take a closer look at your top few offers by examining the numbers more closely. Looking beyond the basics, you need to determine all loan cost information, not just the monthly mortgage payment and annual percentage rate. Check the cost of points in dollar amounts, broker fees, origination fees, underwriting fees, administrative costs, mortgage insurance, yield spread premiums, commissions, escrow and closing costs. Without these numbers, you won’t be able to make a fair comparison. While most prospective buyers tend to think that a 30-year loan is the way to go, over the years, 15-year loans have continued to gain in popularity. However, in the end, the most important thing is to pick the loan that’s best for you and your family. In addition to 15- and 30-year loans, prospective buyers can also choose between fixed-rate and adjustable-rate mortgages. If you’re interested in an adjustable-rate loan, you need to consider more than just the rate at the beginning of the loan period. It’s also important to understand and pay attention to the rules related to when and how often adjustments can occur, limits on what they could cost, as well as the loan’s ceiling rate. This is something that you should discuss closely with your lender. If you happen to discover a better price with a different lender, but prefer one that you already know, don’t be shy about negotiating the terms, especially if you have a solid credit history. You may be able to lower the points, reduce some fees, eliminate some broker fees or even bring the rate down a small percentage. Once you find the terms you’re comfortable with, lock it in, in writing, so that things don’t change. The lock-in should include the rate that you have agreed upon, the period the lock-in lasts, the number of points to be paid and a lock on as many other costs and terms as possible. Finding and obtaining a mortgage may not be the most exciting part of the process, but it’ll set you on the path toward owning your own home, so do all you can to make sure you can live with the terms and payment conditions. ©2015 Prosperity Home Mortgage, LLC. All Rights Reserved. Though most of us have basic knowledge about credit, major gaps still exist. 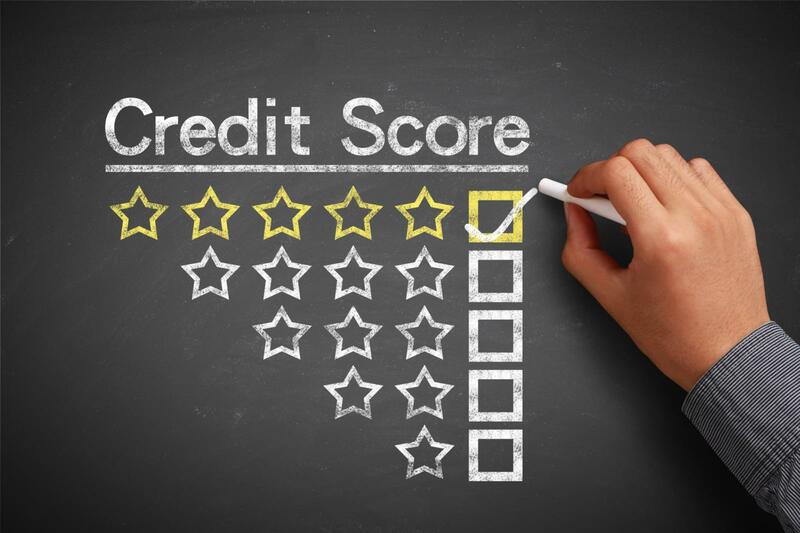 According to the nonprofit organization American Consumer Credit Counseling (ACCC), more than half of Americans are unaware that credit scores measure the risk of not repaying a loan on time, rather than their ability to pay based on their annual salary. 1. A good credit score secures financial wellness. Credit is more than just a plastic card you use to buy things—it is your financial trustworthiness. Good credit means that your history of payments, employment and salary make you a good candidate for a loan, and creditors—those who lend money or services—will be more willing to work with you. 2. All credit scores are not the same. There are three major credit reporting agencies (Experian, Equifax, TransUnion), and they each have their own model for calculating your score. They also may not all be using the same information. Each score matters, and different lenders may be using different scores to evaluate you. 3. Bad credit scores are fixable. A bad credit history can haunt you for a long time—seven years or more. Make sure you correct any errors on your report. Asking for help from your creditors can go a long way in terms of fixing bad credit. If you have a poor credit score, take the necessary steps to start fixing it by paying down debt where possible and making payments on time. 4. Make the right choice. Consider fees, limits, interest rates, and benefits, which can vary substantially among credit card issuers, when opening a new card. 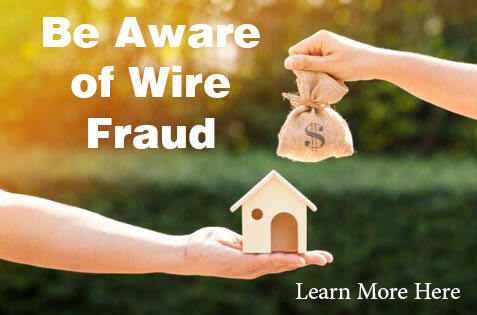 Some credit cards that look like a great deal at first glance may lose their appeal once you read the terms and conditions of use and calculate how the fees could affect your available credit. 5. Discipline goes a long way. Try to pay your bills on time and in full as much as possible. This will help you avoid late fees, and build a positive credit history. How can I pay off my credit card debt sooner? Buying a home is a big investment, and finding a mortgage lender that can provide the right home loan option for you is essential for supporting your long-term financial goals. But when you decide to become a homeowner, working with a mortgage lender who understands that clients are people, not financial transactions, can be equally important. At Prosperity Home Mortgage, LLC (Prosperity), our values and how we approach our customers ̶ and each other as a team ̶ define us as a company. Having the best attitude and customer service are what differentiates us and creates an extraordinary customer experience. Accordingly, we would like to recognize our local operations team in Chantilly, Virginia, for choosing to put those values into action by recently surprising two clients at their settlement office just before closing on their first home. 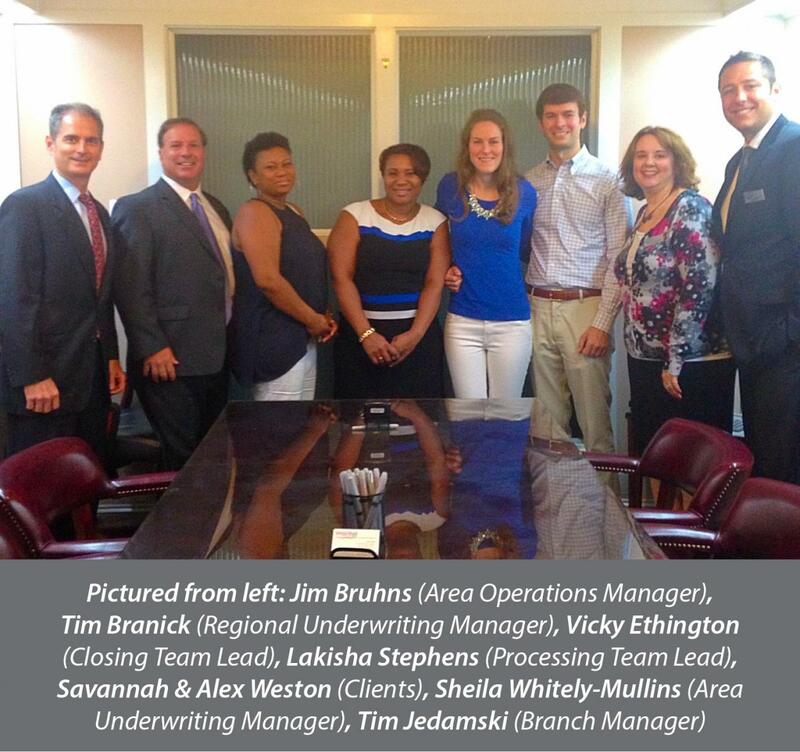 In attendance with clients Savannah & Alex Weston were Jim Bruhns (Area Operations Manager), Tim Branick (Regional Underwriting Manager), Vicky Ethington (Closing Team Lead), Lakisha Stephens (Processing Team Lead), Sheila Whitely-Mullins (Area Underwriting Manager), and Tim Jedamski (Branch Manager). “We wanted to personally congratulate and thank our clients for their business, but more importantly, to show them that behind all the e-mails and phone calls during the financing process is a group of people who really cares and wants what is best for them, the clients. And at the same time, it was a perfect opportunity to remind ourselves that the work we do matters to real people,” said Tim Jedamski, the local branch manager who also attended the closing. At Prosperity, a fundamental goal among our mortgage professionals is to be recognized as a large, well-established lender with a welcoming, local team of people who truly care. We believe every time our team members pick up the phone, every time we respond to an e-mail, every time we identify and solve a problem ̶ these are opportunities to showcase our exceptional customer service. We are committed to setting the highest standard for customer service and consistently exceeding the expectations of our clients, which helps us achieve our mission of creating an extraordinary customer experience. If you’ve made the decision to buy a home, please contact a local mortgage consultant to help you get started. Our team of mortgage professionals is available to guide you every step of the way and help ensure your home buying process is a smooth one. It is our commitment to create a positive mortgage experience so you can get settled in your new home. And even after your loan settlement, our team of mortgage professionals is available to help with all your future home-financing needs. Say good-bye to complicated home loan and closing documents. New mortgage disclosure requirements from the Consumer Financial Protection Bureau (CFPB) will soon change the way mortgage and settlement companies do business with their clients. These regulations, which are a result of the Dodd-Frank Wall Street Reform and Consumer Protection Act, are designed to simplify the settlement process for consumers, making it more transparent and easy to understand. Similarly, your standard closing documents—the final TIL disclosure and HUD-1 settlement statement—will be replaced by the Closing Disclosure. Like the Loan Estimate, the Closing Disclosure is a streamlined summary of the loan terms, projected payments and closing costs. Additionally, it is designed so you can easily compare the Closing Disclosure with your Loan Estimate to ensure the loan on which you close is the same as the loan you chose and for which you were approved. Click here for a side by side comparison of the old and new forms. With the new forms also come new deadlines that mortgage and settlement companies have to meet. For example, once you apply for a home loan with a mortgage lender, that company is required to deliver or place in the mail to you the Loan Estimate no later three business days after receiving your application. Additionally, the Closing Disclosure must be delivered to you no later than three business days before closing. What’s important to note is that if any changes are made to the Closing Disclosure, a new document must be reissued, and in certain cases, this resets the clock on that three-day period. Could these regulations affect a home closing? It’s all about deadlines, especially with the Closing Disclosures. A loan cannot close if consumers do not receive their Closing Disclosure in the three business-day time period. So if one of the below changes occurs after they received the initial Closing Disclosure, the clock will be reset, a new form will have to be issued and the closing pushed out three days. How can you ensure a seamless real estate settlement in the new regulatory world? While the key changes, from a consumer perspective, occur in forms and deadlines, there are numerous other requirements that mortgage and settlement companies have to implement. 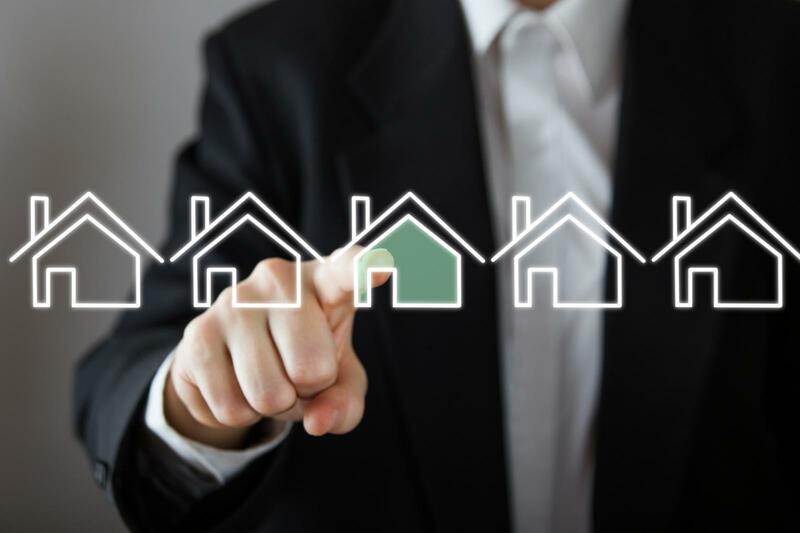 To ensure that your real estate transaction occurs on time and as expected, you should not only educate yourself on what’s occurring before the new regulations go into effect, but also make sure you’re working with a company that’s prepared for the new rules. Our team at Prosperity Home Mortgage, LLC, for example, have been preparing for the changes over the past two years and are ready to handle them with ease. Questions about the new disclosures? Contact your local mortgage consultant today! Prosperity Home Mortgage, LLC, has earned recognition for exemplary service in a recently aired episode of Lifetime TV’s Designing Spaces show that focused on the benefits of homeownership. The segment starred Mortgage Bankers Association President and CEO David Stevens, along with Keith and Courtney Williams and their family from the Washington, D.C., region. The Williamses worked with Jody Eichenblatt, a mortgage consultant for Prosperity in Arlington, Va., for their home financing. Although they did not name Eichenblatt directly in the segment, they spoke highly of his service, commending how responsive and communicative he was during the homebuying process. At Prosperity, we are committed to creating a positive mortgage experience, setting the highest standard for customer service, and consistently exceeding the expectations of our clients. Our team of mortgage professionals is available to guide you every step of the way to help ensure your home buying process is a smooth one. If you have any questions about buying a home, contact a mortgage consultant near you!